IWF - Government-Enforced Paid Leave: Compassion or Control-Freakism? Government-Enforced Paid Leave: Compassion or Control-Freakism? From Ivanka Trump to Hillary Clinton, political leaders increasingly are focusing on the issue of paid family leave and how government can ensure that workers have paid time off when they need it. Many hail this effort as pro-family and worker. Sadly, government-imposed policies take their toll on the overwhelming majority of workers, whom bureaucrats disregard. They focus solely on the minority who would benefit from a paid leave mandate while ignoring how it would impact everyone else in the workplace. We believe that businesses can and want to provide needed leave while also taking into consideration the needs of every employee. As leaders of a small business and small nonprofit organization, we understand the many considerations employers must take into account when developing and administering benefit packages. No government policy is needed to tell an employer that if her employee is diagnosed with cancer, or has a baby, she needs to give that employee time off. Employers do so because they are also people who care. Or, from a cynical perspective, it would be incredibly shortsighted not to support a valued worker during a time of need. 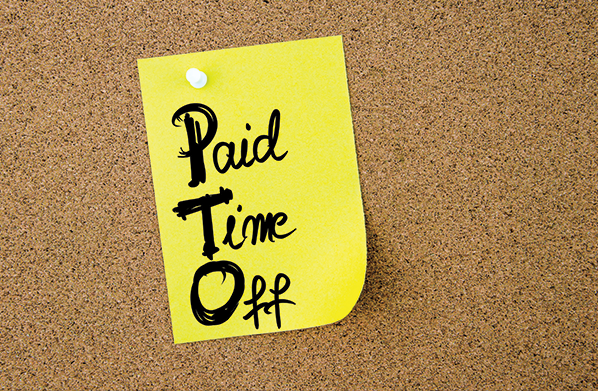 However, when arranging time off, an employer must be concerned about the impact on each and every employee. Again, it is a given that time off is essential for pregnant women or those with serious illnesses. Our concern is how to enable employers to be considerate of all employees. Government programs are designed without any consideration for those who must take on added responsibility or work longer hours. That is where flexible options – that can be designed by employers – are far more compassionate to all. Interestingly, businesses – not the government – developed paid vacation, sick leave, and other leave benefits for their employees in the first place. They did this not to comply with a legal requirement, but because it made good H.R. sense. As a result, today, more than nine out of ten full-time private-sector workers have paid vacation, and three quarters also have paid sick leave. Of course, while those statistics show that paid leave is widespread, there are still some workers who lack leave benefits. Many lack a specific benefit for family leave, including following the birth of a baby. This leads some to ask, given that businesses already provide leave, what's the harm in requiring them to provide paid family leave, too? In fact, there would be a great deal of harm in such a government mandate. That harm would be felt by all workers, including expectant parents, who are supposed to be the mandate's chief beneficiaries. There is a huge difference between a government-mandated program and one created by a business in response to the needs of its workers. But that doesn't work for all workplaces, such as schools, hospitals, restaurants, and the service industry, where customers need workers reliably and physically present. Remember: those on leave are also consumers and need to depend upon having reliable services. Thus, if we hamstring businesses with regulations, we may be preventing them from providing timely and quality services to those in need. Equally important, government programs and mandates put employers in the position of fearing a lawsuit from an employee who claims he has an ill defined health issue that requires Fridays off. That's not just frustrating and damaging to the business's bottom line; it's demoralizing to all the hardworking employees who don't seek to take advantage of the system but end up paying for their colleagues who do. Mandates are the enemy of true flexibility, and they backfire particularly on women. Given the design of government mandates, employers know that women are the most likely to make use of these benefits. Much of that fear is relieved if businesses can – and they do – design policies that do not give certain employees an advantage over others. Paid leave is an important issue. It affects everyone: those who need time off for family reasons or medical emergencies, as well as those who pick up the slack when others are on leave. It affects the economy and our options as consumers. 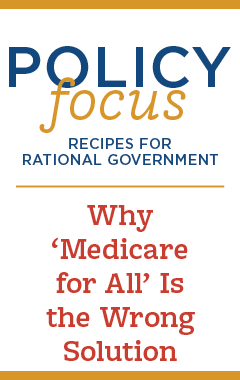 Government will never be able to balance the many considerations employers have to balance when finding solutions for the unique people they employ – that's why we need maximum flexibility, not government mandates, to address these situations and find fair, workable solutions for each individual workplace. Frayda Levey is a former small business owner and on the board of several nonprofit organizations. Carrie Lukas is the managing director of the Independent Women's Forum.